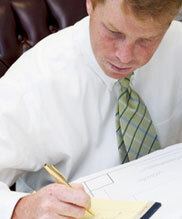 Real and practical legal experience, in and out of the courtroom, will save you time and money. Because of my experience in the courtroom, I will analyze your documents and your case with an eye toward what it takes to win in court. Everyday courtroom experience, over the past 16 years, gives me the experience and knowledge to know what is important for you to make a winning decision.